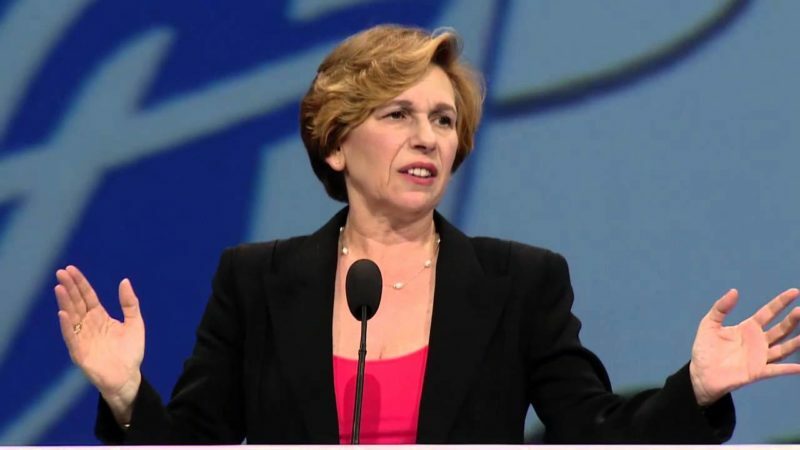 April 1, 2019 - por American Federation of Teachers President Randi Weingarten. Betsy DeVos is wrong again. Falsely implied teachers unions had lost members in the wake of the Janus v. AFSCME Supreme Court decision. While Betsy, who has made no secret of her anti-union agenda and Janus cheerleading, may wish the decision defunded and destabilized us, it hasn’t—far from it. Instead, it’s been a ‘which side are you on?’ moment. The reality is the AFT has added 100,000 members from February 2018 to February 2019, and we’ve tallied 14 organizing wins since June. We are close to 1.7 million members again and have added a quarter of a million members in the last decade. The real reason DeVos is attacking us is because her antipathy toward public schools, public school children and the Special Olympics has been on front street this week. Her disastrous testimony before Congress showed just how far she would go to privatize the schools that 91 percent of kids attend. Betsy isn’t concerned about fixing mold and crumbling classrooms because it gets in the way of her political project to syphon public money into private hands. And she wants to silence people like us who champion the aspirations of working families for a better life. Just think about her comments yesterday: When asked about funding school infrastructure to fix crumbling buildings, clean up mold and replace lead pipes so that kids don’t get poisoned or develop respiratory illnesses, she said she’d rather spend that money on charters and vouchers. DeVos’ entire term as education secretary has been about putting her thumb on the scale against public schools and public education. The wave of walkouts over the past year shows educators and the American people won’t stand for it—and are mobilizing in the millions to defend the kids and communities she desperately wants to undermine.